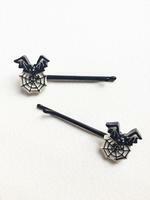 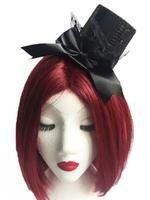 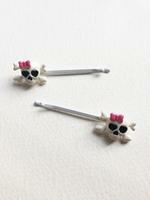 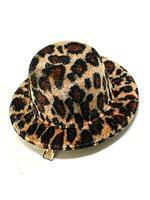 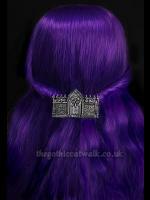 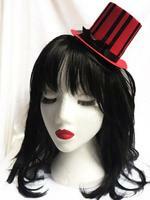 Gothic Hats & Headwear - We have a lovely selection of elegant hats and pretty gothic hair accessories. 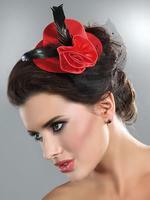 Our popular black veiled rose fascinator is the perfect finishing touch to an elegant gothic outfit and our unusual hairclips are functional as well as decorative. 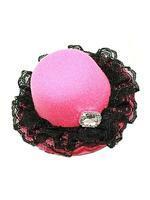 Lots of our mini hats are ideal for completing a burlesque outfit too.